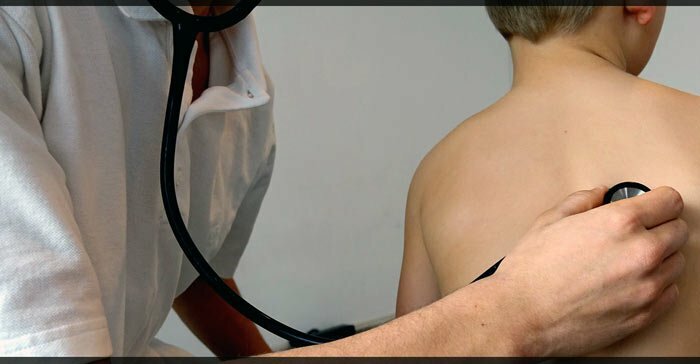 Pneumonia - Who Is at risk of developing Pneumonia? Pneumonia refers to infection of one or both lungs causing inflammation of the air sacs (alveoli). This condition causes the air sacs to get filled with pus or fluid resulting in chronic productive cough, fever, and shortness of breath. Pneumonia can be caused by virus, bacteria, or fungi. Smoking is also a factor which increases the risk for Pneumonia. Who Is At Risk Of Developing Pneumonia? Antibiotics: Antibiotics are used to treat basicallyion bacterial pneumonia. Antivirals: Antivirals are used to treat basically viral pneumonia. Cough medications to bring down the chronicity of the cough. 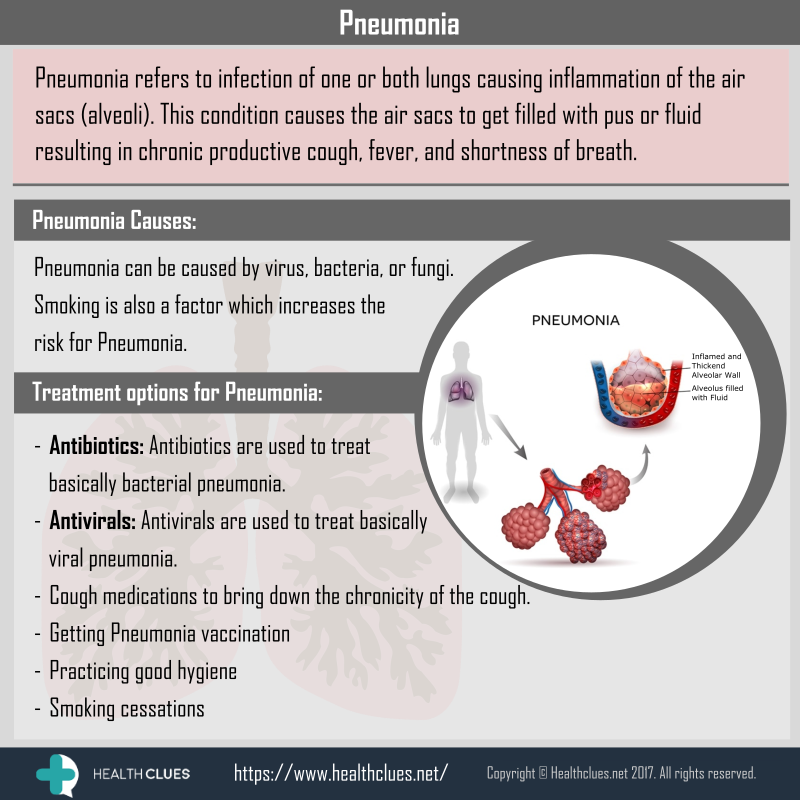 Infographics Causes of Pneumonia, cough, Lungs infection, Pneumonia, Treatment options for Pneumonia. permalink.